Brilliant selection of species. I always particularly love cormorants and shags. 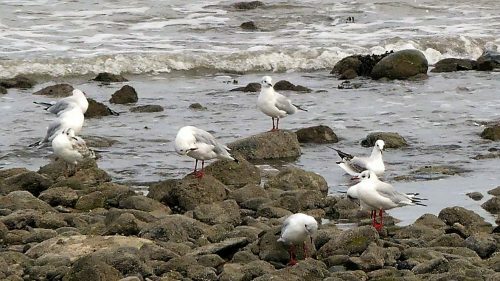 Seeing the black-headed gulls makes me wonder, do you ever see the slightly similar little gulls there in winter? And if you do, when do they arrive and how do you tell the difference? I notice Suzanne mentioned that she had seen them. 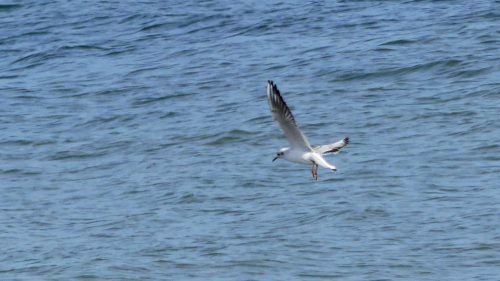 I thought of it because another similar bird, the Mediterranean gull, has had its eggs stolen for restaurants in Dorset, where it is resident, by people thinking they were black-headed gulls. Thank you, I’m pleased you found it so! PS Did you know they once thought ‘whitebait’ was a species of fish unique to the Thames. Even now I’m sure most people when they order it in a pub probably think it is a type of fish rather than an age of fish. Thanks for that Becky, I love that kind of social-historical tidbit! I’d not really considered too much what Whitebait was until I looked it up for this post. Makes me wonder if we should really be catching and eating it at all in these days of fish stock depletion. hmm, yes that’s very true . . . . . perhaps I better stop eating it, not that I have for ages. Stunning, simply stunning . . . . . Thank you Becky, this is a wonderful place to be for wildlife and to see some spectacular sights. Portugal must be pretty special now too with all the winter migrants arriving or passing through? Look forward to seeing what you find on your return! 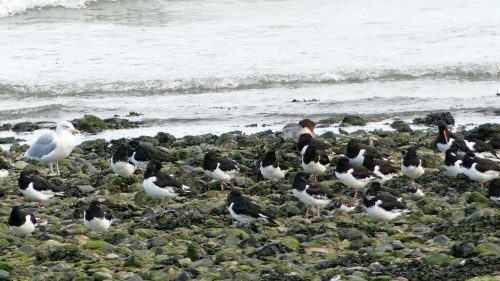 I’m envious, that part of the Welsh coast is great for sea birds and it looks like you had a great time there. 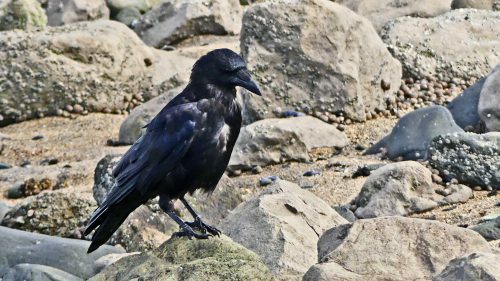 Trips to the seaside are always a perfect opportunity to get lots of good bird pictures! 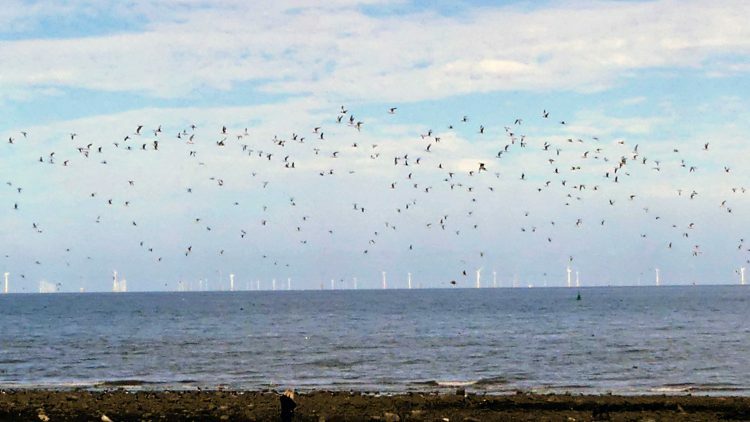 Thank you Finn, this is a particularly good spot for seabirds and waders at this time of year and through the winter and we have the Conwy Estuary close by too with the RSPB reserve on it, so I’m sure some birds use the two locations. I always envy your proximity to the East Coast – you’ve done some great posts from there! I guess that’s one of the great things about the UK – wherever you may find yourself it’s never that far to some spectacular coastline! 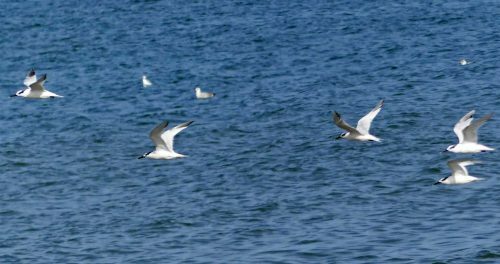 Absolutely – here’s to a good winter for all our avian returners, wherever they may land! 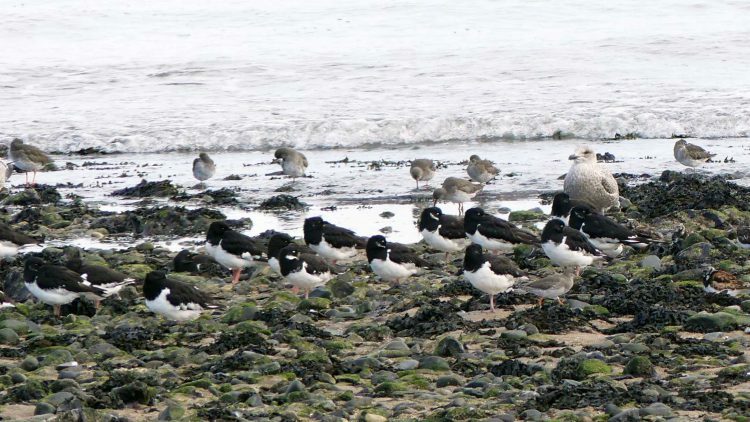 Lovely to so many birds in one place. 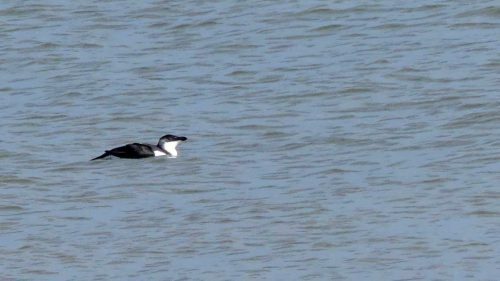 I think the birds in the water may be Razorbills rather than Red-throated divers. They are in winter plumage. 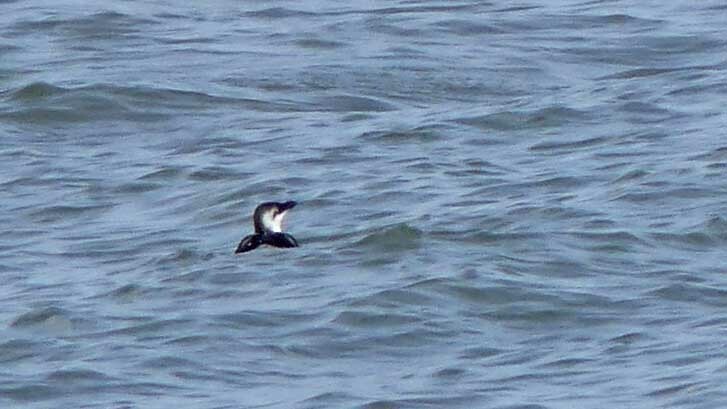 Divers would be much greyer and have much longer necks and longer sharp pointed beaks. 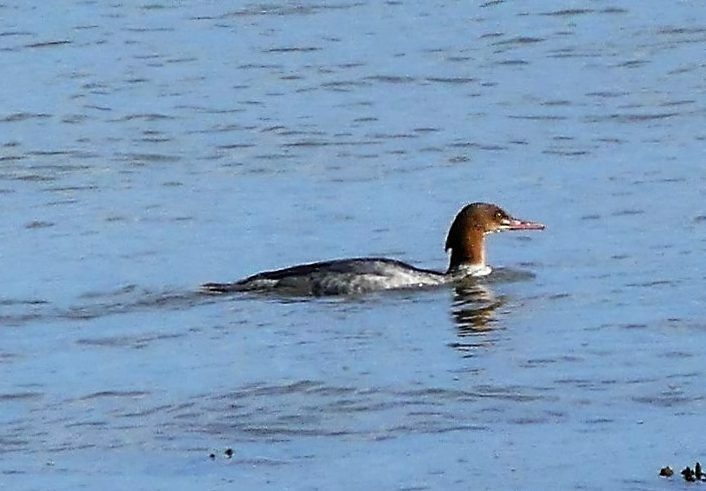 The other bird looks like a female Gooseander rather than a Red-breasted merganser as it looks to be a more stocky bird with a white chin and a sharp border between the brown and the cream on the neck. 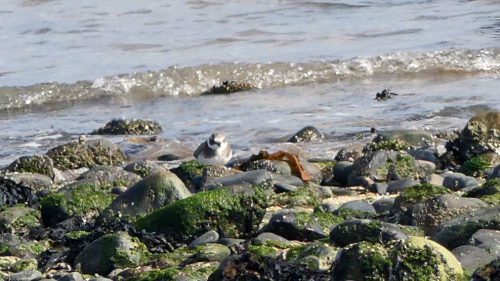 It is worthwhile scanning the flocks there as some real treasures turn up from time to time like the Little gull last year. Thanks for your comments Suzanne, I usually take more care to read over posts before putting them out there. I’ve made corrections now and I’m claiming new grandbaby brain for my lapse! 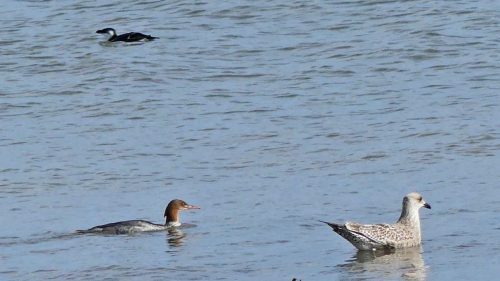 I did agonise over the duck – I wanted it to be a goosander as they are such lovely birds, but think I can see a pale line going through the throat and down the neck? I’m more than happy to be wrong-wish I’d had a better view. I’m sure I miss a lot of opportunities to see more unusual visitors by not carrying binoculars on a regular basis and relying on my camera zoom. That’s when it’s good to have someone with you -I’d not have seen the divers well if not for a man with a scope! You certainly live in a very nature rich area. Yes, it is indeed a very special place for wildlife that I hope manages to survive the increasing onslaught of our human & canine presence. Yes, I fear we let our canine friend and feline ones affect the wild ones too much. We are indeed well-blessed with our winter visitors. I’ll share them as much as I can! Lovely photos, as usual. I always think cormorants look really sinister, but I love seeing them. Thank you Ruth. 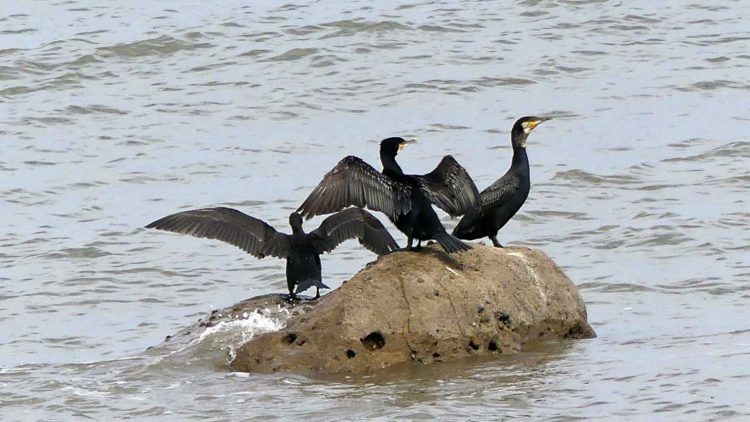 I know what you mean about cormorants, I think it’s because they are mostly black and have that wicked-looking bill. Or perhaps the way they hold their wings out to dry makes them look a bit Draculean? They put me in mind of groups of teenaged boys hanging around on street corners – they can feel threatening but are mostly harmless! There have always been a lot here & their local name here used to be ‘llanc Llandudno’-Llandudno lads, maybe for that reason.